Salt Water Taffy -- The best in Wildwood, NJ! 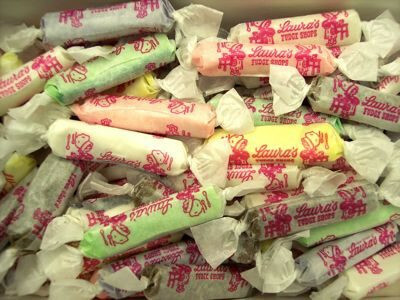 Laura’s famous salt water taffy! A Wildwood tradition! 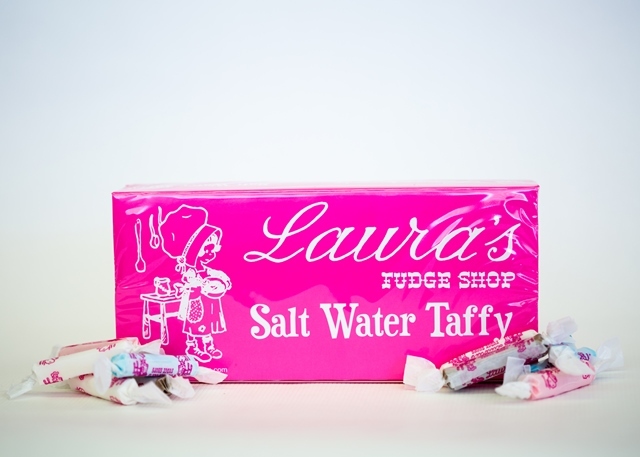 You’ll love our delicious salt water taffy. It’s a Wildwoods’ tradition! Flavors include Vanilla, Chocolate, Peppermint, Strawberry, Orange, Grape, Lemon Lime, Peanut Butter, Licorice, Molasses, Banana and Raspberry. Assorted pound box.